Prime Minister Netanyahu says Israel will take action against the Palestinians, if they press ahead with statehood. Benjamin Netanyahu, the Israeli prime minister, has threatened to take unilateral action against Palestinians, if they press ahead with moves towards statehood. “These will only make a peace agreement more distant,” Netanyahu said of applications the Palestinians made on Tuesday to adhere to 15 international treaties. Netanyahu, speaking at his government’s weekly cabinet meeting on Sunday, said Israel wanted peace talks “but not at any price”, in his first public comments on the crisis over peace talks with the Palestinians. The US-brokered peace talks have veered towards collapse since Israel refused to release a fourth batch of Palestinian prisoners last weekend, as it had previously agreed as a condition of the talks. Israel said the prisoners would not be released unless it had assurances the Palestinians would continue negotiations beyond their scheduled deadline on April 29. Israel and Palestinian negotiators were due to meet with US envoy Martin Indyk on Sunday, in the first recent sign of a breakthrough in attempts to revive the negotiations. Israel’s chief negotiator Tzipi Livni, however, on Saturday suggested the US should change its role in the peace process, allowing for more direct talks between Israel and the Palestinians. “Part of what happened in the past few months was more negotiations between us and the United States and less with the Palestinians,” Livni told Channel Two’s Meet the Press on Saturday. The United States has criticised “unhelpful, unilateral actions” by both sides, with Secretary of State John Kerry describing the current scenario as “reality check” time after negative Israeli and Palestinian moves. After Israel refused to release the Palestinian prisoners, Mahmoud Abbas, the Palestinian president, on Tuesday signed a request to join several UN agencies. 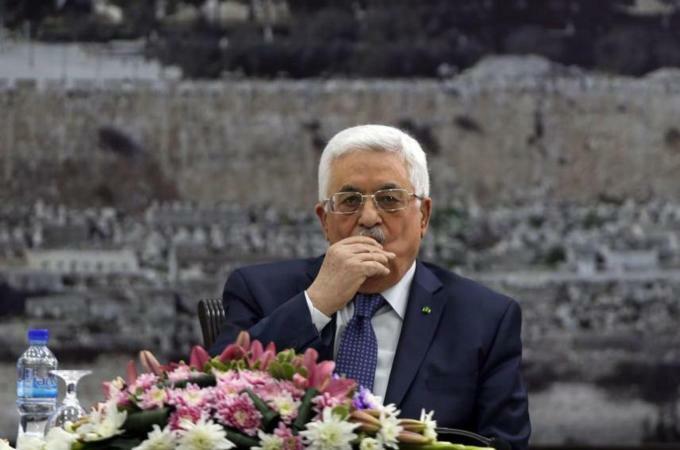 “The Palestinian leadership has unanimously approved a decision to seek membership of 15 UN agencies and international treaties, beginning with the Fourth Geneva Convention,” Abbas said, after signing the demand during a meeting at his Ramallah headquarters in the occupied West Bank. Al Jazeera’s Stefanie Dekker, reporting from Jerusalem, described the current stalemate as “a blame game”. “We’ve been here many times before over the years. If you ask the people in Israel and the Palestinians they’re not confident that these issues can be resolved,” our reporter said. Meanwhile, Israeli jets attacked five sites in the Hamas-ruled Gaza Strip on Sunday, hours after a rocket from the Palestinian enclave hit Israel. No injuries were reported by the Palestinians. The Israeli army said it targeted four sites in northern Gaza and a fifth in the south of the coastal territory. On Saturday night, a rocket fired from Gaza hit an open area near Ashkelon in southern Israel without causing damage or injuries, the army and police said.